Dr. Bill Walton, senior marine scientist at the Dauphin Island Sea Lab and associate professor and extension specialist at Auburn University, said the Auburn University Shellfish Laboratory based at the Dauphin Island Sea Lab lost a lease in Portersville Bay for an oyster farm park last year. In response, they identified new sites and are working to complete permits on two new oyster farming park areas. Walton said, “Losing the lease out in Portersville Bay was a tough hit, not only for the program, but for the oyster farmers operating in the oyster farm park." 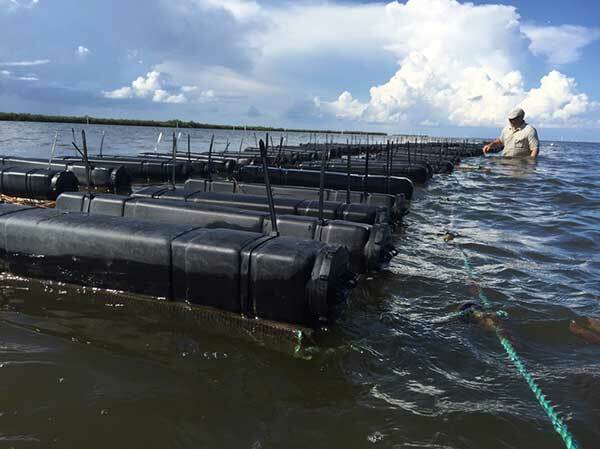 Despite the loss of the lease, Dr. Walton and his team of researchers have continued their work on Dauphin Island, continuing to produce oyster seed for the growing industry while also conducting research and outreach. This work has expanded to include work by other researchers at the Dauphin Island Sea Lab. Over the coming year, the Auburn University Shellfish Laboratory is looking to move forward with two new permitted oyster farming park sites, one not far from the old site and the other over in Grand Bay. With the move complete, the Lab will team up with the Alma Bryant High School to offer a third training class for new oyster farmers, and continue to provide support to Alabama’s oyster farmers.